APFN - Dr. Mount, Thank You For Your Selfless Concern & Warnings. Dr. Mount, Thank You For Your Selfless Concern & Warnings. Can the VA finance (This refers to any other Cannabis affiliated banking operation that may finance this concept.) a disabled American Veteran, thus pertaining to his new home, thereof, making the Vet the new, home owner, vis a vis, can a Medical Cannabis Growing Operation be on the same property and as well, also some how be also partnered with a state registered and licensed Seed to Sale company that is financed by a banking finance source who works with the Seed to Sale companies like world leader Bio Track THC ? http://www.BoitrackTHC.com and thereof, http://nationalcannabischamberofcommerce.com/. Thenceforth, or even also possibly allowing the new Disabled Vet home owner being able to have a home and state licensed and registered seed to sale that is also possibly owned by the new home owner being a possible American Disabled Veteran for example and or who then can also be a possible partner to the Seed to Sale company? This pertains to all future medical cannabis seed to sale operations in all states and counties nationwide and as well concerning all native American Tribal jurisdictions. A Veterans Financing concept concerning American Disabled Veterans owning their own homes that are also part of a Washington State 502 Licensed and Run Cannabis Growing Facilitation that will also be located on their properties. I went to a convalescent center on Queen Ann Hill yesterday with a friend who takes care of Veterans homes and places when they have to take time out at recovery centers after their surgery and I met with an Iraqi Veteran who is missing both of his lower legs. He mentioned that he is interested in such a program to help disabled Veterans to be able to finance their own homes that can encompass also their owning and or thereof, partnering to have a State Licensed Seed to Sale, run and managed (This means less management responsibility involving the resident-owner who might be a disabled Veteran.) Cannabis Grow operation. He is currently under recovery from his having lost both of his legs and he is thirty years old and has no real future in life at this time. He is very interested in this concept. Let me know what you think, as that for example, this Veteran has good credit and can very easily finance this concept for his having a residence and a form of livelihood. 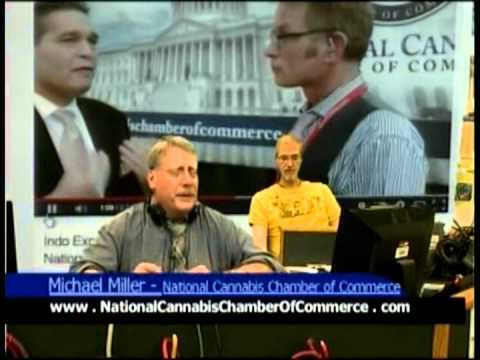 The Cannabis Chamber of Commerce CEO Michael Miller will most likely find this type of program that he and his BiotrackTHC company are involved with as a very interesting concept that may very possibly become a very good public relations project as well for these companies and chambers of commerce in all states, counties, and tribal jurisdictions. To consider putting together a financial program to help disabled Veterans to be able to finance a home and a combined Medical Cannabis State Registered and Licensed Seed to Sale home growing operation that is included in this conceptual project that can and that will provide a great deal of benefit to disabled American Veterans and for many other people. Thereof, in focus, Iraqi War Veterans who have been permanently disabled who have good credit, thereof, about helping them to finance their own homes with the encompassing also of their also having their own 502 licensed Cannabis (Seed to Sale.) building and operations also being located on site as well for these Vets to be able to have both financing and Cannabis Growing Management and Assistance. This same concept can also be put together to work with the Native Tribes in each state as well. Especially if the tribes who are interested in this concept may also have disabled Veteran Tribal Members who may qualify for receiving funding to finance their own Cannabis Seed to Sale programs that can also encompass their financing their tribal members who are qualified veterans to also receive this financing and program assistance for their getting homes that will be included this financial concept. Thereof, to also work with Michael Miller of the National Cannabis Chamber of Commerce founder and head, who is also the CEO of http://www.BoitrackTHC.com and thereof, http://nationalcannabischamberofcommerce.com/. I produced two, one hour interviews on the AllDayLive TV program, thus interviewing Michael Miller and I am sure that Michael Miller will be interested in this Veterans Financing concept that then will also integrate with the Bio Track THC Seed to Sale databasing, bar coding and state tax affiliated, and bank accepted program. Bio Track THC is the world leader at this time in this seed to sale (State run and tracked. ), program and it is apparently the only program that is at this time that is accepted by the banking industry in all of the states. Please let me know if you can help me out with some funding at this time about our producing some AllDayLive broadcasts in the near future or maybe even this week if this transcends. I am very tired of being forced to be always with my back to the wall and being forced to be always being broke all of the time with no proper equipment to work with or a means to be able to get around and I am a one hundred percent disabled American Veteran.. I have produced more then two thousand one hour documentaries for the Northwest and worldwide community on literally nothing. Due to all of our Seattle Community Media TV programs (This last four years thereof, when the archiving was begun on-line.) that these televised programs are now also considered to be Federally Copyrighted Legal Media Documentation. Recently some members of the U.S. Congress did actually call me and thank me for having produced more then two hundred one hour expose' (Documentaries.) on the Northwest Cannabis Industries thus giving them the chance to be able to see what this industry is all about so that they could more easily and thereof, expediently legislate to provide the states, the counties and the native tribes their own jurisdictional legislative control of Cannabis and Hemp in their own jurisdictions and regions. willpwilson 908 - Mormon Leadership Withdrawal Requested By Mormon Community. May 18, 2015 Will P. Wilson the producer of the weekly televised and archived AllDayLive TV programs and other weekly broadcast programs on local Northwest Seattle and King County Comcast cable channel 77/23 and that are weekly archived and streamed on-line at http://www.SeattleCommunityMedia.com worldwide.